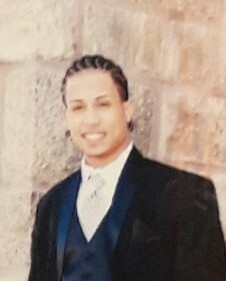 SPRINGFIELD- Daniel L. Cruz, 33, of Springfield, passed away unexpectedly on Friday, March 29, 2019. He was born in Brooklyn, NY on August 9, 1985, a son of Bilian Laguer and Eddie Cruz. He worked for many years as a technician in the optometry field. In his spare time, Daniel enjoyed reading, writing, history, playing basketball with his daughter, and cooking. He will be dearly missed by his daughter Angelica Cruz, his mother Bilian Laguer, his cousins, Sebastian Camacho, Jessie Ramos, and Jessica Estrada, his former spouse Leslie DeJesus, as well as several extended family members and friends. All services will be private. For more information please visit www.messierfuneralhome.com.